What is it about buildings, hotels, houses, towns that are deserted? What draws us…well, some of us…to them? Is it the untold history of the place? Maybe it’s the story ideas that we, as writers, get when we see a picture like the one above. This must have been a beautiful hotel in its day. One can almost hear the carriages stopping at the door and see the well-dressed people getting out, eager to spend a relaxing time at this resort. What happened? Times changed. A war? A depression? Fewer people with the money to spend on resorts. This reminds of a picture I saw of the Paxinosa Inn that set atop College Hill in Easton, PA. The Paxinosa burned twice but was only rebuilt once. Now the only thing left of the magnificent inn is a concrete slab…if that’s still there. 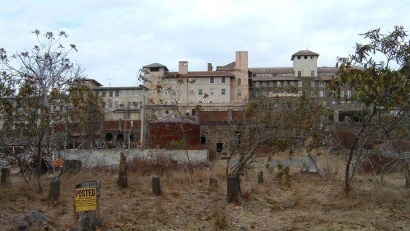 Do we imagine that spirits return or stay around a place like this…like in The Shining? 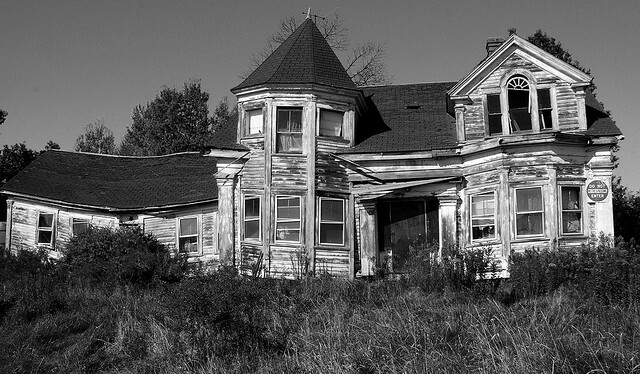 There are deserted mansions, too…large homes once occupied by the prosperous. Did the same events that ravaged the hotel ruin the owners of these buildings? What are the stories? How does one discover the past of a building? 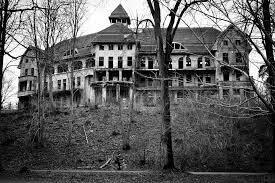 Many paranormal investigators start with the history of the place they’re investigating. With some places, like Gettysburg, it’s easy to discover the history of area buildings. But it might be more difficult if you’re trying to determine what happened in a house or building in your hometown. Starting with a local historical society is your best bet and moving onto county/city/town records. I sometimes chat up the old men and women sitting on the benches by the court house or (as in Easton, PA), Center Square. Their stories may not be accurate but they’re great material. 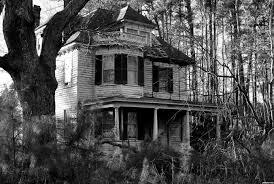 And sometimes the deserted house once housed a regular family. That is the most haunting idea. Have you ever looked around your home and wondered what it would be like in fifty years…in 100 years? Would there be anything left that was “you” or your family? It’s not necessarily the ghosts of the past that haunt us in these deserted buildings, but the ghosts of our futures.